‘Out of the secret world I once knew, I have tried to make a theatre for the larger worlds we inhabit. First comes the imagining, then the search for reality. Then back to the imagining, and to the desk where I’m sitting now.’ From his years serving in British Intelligence during the Cold War, to a career as a writer that took him from war-torn Cambodia to Beirut on the cusp of the 1982 Israeli invasion, to Russia before and after the collapse of the Berlin Wall, John le Carre has always written from the heart of modern times. In this, his first memoir, le Carre is as funny as he is incisive – reading into the events he witnesses the same moral ambiguity with which he imbues his novels. Whether he’s writing about the parrot at a Beirut hotel that could perfectly mimic machine gun fire, or visiting Rwanda’s museums of the unburied dead in the aftermath of the genocide, or celebrating New Year’s Eve with Yasser Arafat, or interviewing a German terrorist in her desert prison in the Negev, or watching Alec Guinness preparing for his role as George Smiley, or describing the female aid worker who inspired the main character in his The Constant Gardener, le Carre endows each happening with vividness and humour, now making us laugh out loud, now inviting us to think anew about events and people we believed we understood. 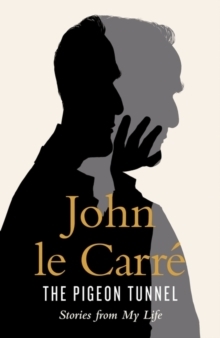 Best of all, le Carre gives us a glimpse of a writer’s journey over more than six decades, and his own hunt for the human spark that has given so much life and heart to his fictional characters.